Move over cable television, the Kindle Fire is getting even more wildly popular apps: Hulu Plus and ESPN. Hulu.com pulls together all of the latest TV show clips and available full episodes into one website. Hulu Plus is their subscription based service that allows access to even more shows and movies. 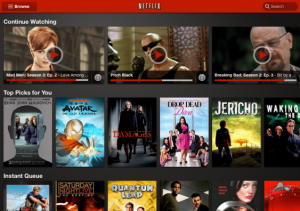 It is better than Netflix in some respects because it provides access to TV shows soon after they air as opposed to months later. ESPN shows live sporting events right on you Kindle Fire. I’m a big college basketball fan, so I am especially excited about the prospect of taking the games with me wherever I go. The only drawback is that you have to sign in using your cable provider account. So, not everyone can use it. Hulu Plus and ESPN join Facebook, Netflix, Twitter, Pandora, and a slew of popular games to make up a pretty powerful set of apps. A lot of these are free, but the ones that are pretty inexpensive. Rumors and speculations are flying about how the Kindle Fire is set to knock the iPad off the top of the tablet market list. I don’t doubt that Amazon (NASDAQ: AMZN) has the tools and ability to do it. They also have a great reputation for top notch customer service, and for having much more cost friendly products than the majority of major retailers. 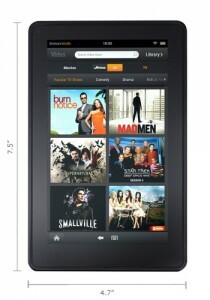 Right now, the major advantage to the Kindle Fire is price. The iPad has the history and larger app store. However with the addition of all of the major apps like Hulu, ESPN, etc, will set the Kindle Fire up to be some pretty hot competition. I will be very interested to see what Apple does in response. In the past they have typically come back with a better product touting improved features without budging too much on the price. I’d love to see a future 10* Kindle Fire that includes a robust app store, external keyboard compatibility, and a reasonable price. This future version might just become reality quite soon. 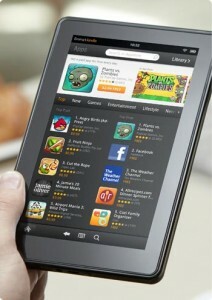 I’m eager to hear what new Kindle Fire owners have to say about the tablet once they get to finally try it out. Will the user interface be intuitive and easy to use? Will colors be vibrant and sharp as the description boasts? All are questions that will be answered on the fast approaching November 15 release date. Let the games begin. Apparently Amazon has been working on a way to offer Amazon Prime customers a Kindle platform lending library experience similar to what Netflix users have come to expect. While this is in its extremely early stages and will depend on reaching agreements with publishers who have not been particularly fond of Amazon or the Kindle, if it were to be realized it would be a game changing addition to the eBook world. It is important to note that this will be distinct from Kindle Library Lending. An Amazon Prime membership will not be required for Kindle Library Lending. This service would allow subscribers to access a certain number of titles per month, after which it is unclear whether these users would be cut off or given the option to pay overage fees of some sort. At launch, and possibly permanently depending on the eventual structuring, this service would be only for older works, leaving the bestsellers list alone in favor of less profitable titles that publishers would have less reason to object to. Publishers are not terribly enthused by this idea, unfortunately. While Amazon has reportedly offered a substantial fee for any publishers who join in on the program, there are concerns. One, executives are apparently concerned that the idea of such a rental program would devalue their publications in the eyes of potential customers. Two, with Amazon already being in a highly influential place in the eReading world, many are concerned that such a program would alienate competing retailers. The former concern isn’t exactly surprising in an industry that already seems to view libraries as little more than theft. The fee offered for participation would have to be substantial indeed to overcome the industry’s anti-lending attitude. As for the damaged relations, it seems shortsighted. If Amazon did pioneer a successful subscription based lending program, it would open the door for publishers to arrange similar deals with competing platforms. That relies on the assumption that the publishers do themselves a disservice by alienating their customers and will eventually have to give people what they want, which apparently is a difficult concept to swallow in many cases. In all honesty, the fact that one executive defended their position by saying that “What it would do is downgrade the value of the book business” says to me that publishers still don’t quite get the fact that there are few inherent differences between the print and eBook mediums in most peoples’ minds. Just as public libraries don’t keep people from valuing books, being able to access a Kindle library equivalent wouldn’t change anything for the vast majority of customers beyond removing the need to worry about waiting lists and local availability of lend-able titles in the public library system. Going along with a plan like this would be great publicity, make author back lists more accessible for potential customers, and quite possibly make the companies more money than would otherwise be the case on these titles, if the fee Amazon is offering is large enough. Shunning this sort of idea on principal does everybody a disservice.